MESQUITE, Nevada – Three men and two women were arrested for kidnapping and battery with a deadly weapon among other charges Tuesday while another man was transported to the hospital for injuries reportedly sustained at the hands of the five individuals. Officers were called to a Mesquite residence on a report of battery with a deadly weapon, according to a Mesquite Nevada Police Department press statement released Thursday. When officers arrived at the residence, they located a man who had been attacked. The man sustained injuries that did not appear to be life-threatening, according to the statement, and was transported via ambulance to Mesa View Regional Hospital in Mesquite. At the same residence, officers located five suspects who had allegedly been involved in the battery. Following the execution of a search warrant, officers discovered narcotics paraphernalia, marijuana, methamphetamine and a handgun inside the residence, the statement said. An investigation resulted in all five individuals being arrested and charged with felonies. 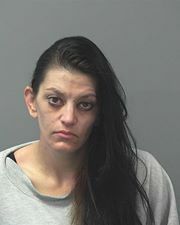 Sirena Abbott, 34, of Mesquite, Nevada, was charged with kidnapping with a deadly weapon, burglary, robbery, intimidating a witness and sales of the controlled substance methamphetamine. 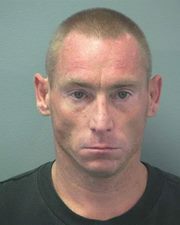 Michael Brannigan, 38, of Mesquite, Nevada, was charged with kidnapping with a deadly weapon, burglary, robbery, intimidating a witness and battery with a deadly weapon. 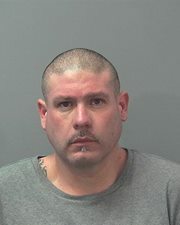 Christopher Mora, 40, of Mesquite, Nevada, was charged with kidnapping with a deadly weapon, burglary, robbery, intimidating a witness and battery with a deadly weapon. 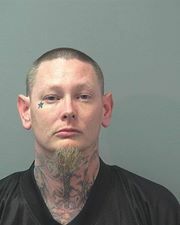 Jeffrey Hillier, 37, of Mesquite, Nevada, was charged with kidnapping with a deadly weapon, burglary, robbery, intimidating a witness and battery with a deadly weapon. 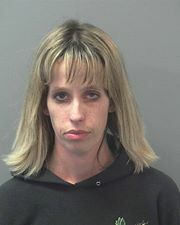 Katherine Pohlmeier, 31, of Mesquite, Nevada, was charged with kidnapping with a deadly weapon, burglary, robbery, and intimidating a witness. All five individuals were booked into Clark County Detention Center, located in Las Vegas, Nevada. The local Mesquite “newspapers” refuse to tell the truth about the town. PLEASE report the address where these people were arrested so that we all know what to avoid. With all those charges, their tithing had better be current if they hope for any sympathy from the judge. Koolaid is at it again with his usual anti-mormon drivel. Shocking, I know! So predictable. It gets a rise out of people like you. Hard lookin women, though. Pump up the muscles and you could easily mistake them for some masculine lookin Dixie gals. Well,uh hum, they look like fine citizens. Look like city council material to me….. Fundraiser.! Well…with THAT kind of a history, I don’t think Sirena Abbott’s birth mother is going to come forward willingly.